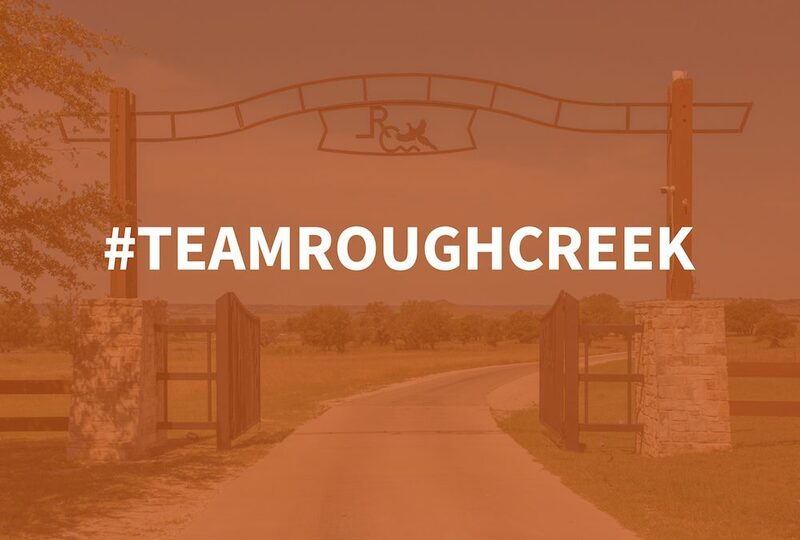 #TeamRoughCreek was created so future homeowners could learn more about the wonderful staff at Rough Creek on a more personal level, as they share everything from fun facts about themselves to their favorite features of Rough Creek Lodge. If you missed it, read our last blog highlighting Megan Briscoe and Roxanne Snow here. This week, we are excited to shine a spotlight on our highly dedicated and essential team members Anissa Chapa and Micah Hutson. 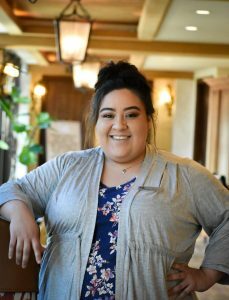 Anissa Chapa was originally born in Clifton, TX, and grew up in Meridian, TX. 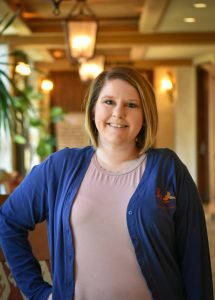 As the Assistant Front Office Manager at Rough Creek Lodge, she spends her time in the front office, at the front desk, or at the Kids Ranch. She lives 15 minutes from the resort and has been a vital part of the Rough Creek team for over four years. Anissa: I got to march in Baylor Band in 2011, the year Robert Griffin III won the Heisman Trophy. Q: If you had the ranch to yourself what would you do? Anissa: Swim, go to the spa, shoot tannerite, or relax at the adult pool. Q: What’s the best thing about your job/working at Rough Creek Lodge? Anissa: I get to organize kid’s parties and hang out with the children. Q: What is your favorite season at Rough Creek? Q: Do you have a favorite animal at Rough Creek? Anissa: Daisy, even though she barks at me. Q: What are you most looking forward to in the next year? Q: What’s your favorite activity/feature at Rough Creek? Anissa: Shooting tannerite and the LBJ Suite. Q: What’s your favorite meal at Rough Creek Lodge? Originally from Cleburne, TX, Micah Hutson is also the Assistant Front Office Manager at Rough Creek Lodge. Micah has been an essential part of the Rough Creek team for over 5 years, and can always be found at the front desk or in the front office. Her favorite feature at Rough Creek Lodge is the family pool cabana, and her favorite part about working at Rough Creek is the friendships she has made over the years as well as the fact that every day is different. Micah: My family is related to the McCoys of Hatfield’s and McCoy’s. Micah: Catching up on housework or errands, visiting friends, or going to concerts occasionally. Micah: Go stargazing on Gunn Mountain. Q: How long is your commute to Rough Creek? Q: If you had an hour break, where would you go on the Ranch? Q: If you could eat lunch with one famous person, who would it be? Q: Besides @LiveRoughCreek what’s one Instagram account everyone should follow? Q: What would be your perfect sandwich? Micah: Turkey, Colby Jack, tomatoes, spinach, and ranch.